Italy's upcoming general election has been watched nervously by investors and analysts for months now. Over the last week the results from an early December EMG Acqua opinion poll showed that their worst case fears look like they will be confirmed on election day. A hung parliament scenario will mean potentially months or even years of deadlocked government in the important EU country Italy that can not afford it. This kind of geopolitical instability is why you need IRA-approved gold to protect your retirement portfolio. Markets are only a single unpredictable Black Swan Event away from a long overdue serious correction. Gold will hedge against these types of destabilizing events. The yellow metal outperforms in market crisis. It is easier than ever to buy now as you can pick it up using a monthly installment plan. 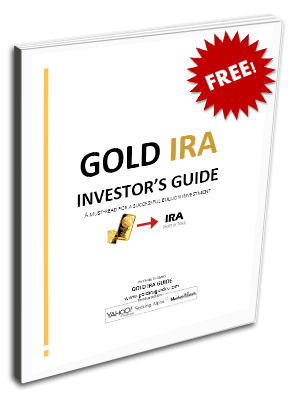 Now is the time to learn about a Gold IRA rollover. The general election in Italy for the first part of 2018 is likely to be set for March 4th. The problem is that it will most likely not produce any clear winner. This would put Italy in a dangerous situation that has become a trend throughout a large part of Europe. The Italian polls have consistently shown that a deadlocked outcome is by far and away the most likely result. When you look at how each of the three main political blocks fares in these likely scenarios presented by the polls, the predictions are not encouraging for the future of Italy. The leader as of now is the three party alliance of the center right. This is comprised of the Silvio Berlusconi-led Forza Italia, the Fratelli d' Italia (Italian Brotherhood), and the Lega Nord (Northern League). Altogether this front-running block enjoys a total poll result of approximately 35.1 percent. Second place currently goes to the Luigi Di Maio-led Five Star Movement, or M5S. They are the anti-European Union and against the establishment populist party that commands 28.3 percent support. Currently governing center-left PD Democratic Party has witnessed its poll numbers fall to 25.3 percent. This makes it third place as a party on its own. With its likely allies on the center-left side, former Prime Minister Matteo Renzi's party might achieve a total vote total of 30 percent. Speculation is already rampant on what would happen if the no-winner scenario plays out. This past Thursday, the previous long-time Prime Minister Berlusconi staked out his position. He will throw his support behind the current Prime Minister Paolo Gentiloni remaining as head of government until another snap election can be arranged if no one wins a mandate. This temporary fix would present problems of its own though. The interim government which the president of Italy sponsored would be forced to obtain a majority in parliament before every single vote occurred. A coalition government would still likely result from a second election in any case. The Forza Italia party of Berlusconi would almost inevitably play a part in the end resulting government coalition. All of these results would be terrible for debt-laden and bad bank-saddled Italy. Could Berlusconi Possibly Be Reelected? The other issue that has consumed political and economic analysts surrounds the electoral future of Berlusconi. He is anxiously waiting to hear if the European Court of Justice will reverse the Italian issued ban against him holding office. Berlusconi suffered this setback years ago after he was convicted of the crime of tax fraud. Should he obtain the ruling he is looking for, he would be able to run as head of his party Forza Italia in the early 2018 election. Piccoli's voice is yet another one added to the chorus arguing that political deadlock and associated instability lies just ahead for Italy. There is a real danger that the Italian government could lose control of its debt and be forced into restructuring or outright default with the ECB preparing to pull back on its bond buying programs that have helped to keep the country's enormous debt load afloat. Besides this, Italian banks are still the most toxic in developed Europe. Even though the government has bailed out Monte dei Paschi for the moment and also wound down several regional banks in the Veneto, failed Italian bank debt is still shockingly high and dangerous. This month the warning went out that 114 Italian banks have non performing loans which are greater than all of their tangible assets. Without urgently needed reforms provided by a stable government, Italy is in serious trouble. Italy is the third largest economy in the Euro Zone. With 318 billion euros of bad loans, its problems threaten to take down interconnected banks all throughout Europe and around the world. The country's bonds are held by investors, commercial banks, and central banks like the ECB as well. The prospect of a country that is too big too fail heading for a political crisis is one that you need to hedge your portfolio against. This is where gold comes into play. As the only time-tested safe haven with thousands of years worth of track record, it is the one you can count on in times of geopolitical instability and market crisis. This is why gold makes sense in an IRA. Now would be a good time to consider the Gold IRA rules and regulations while the situation is still under control.